Articulated Fabric from Francis Bitonti Studio on Vimeo. 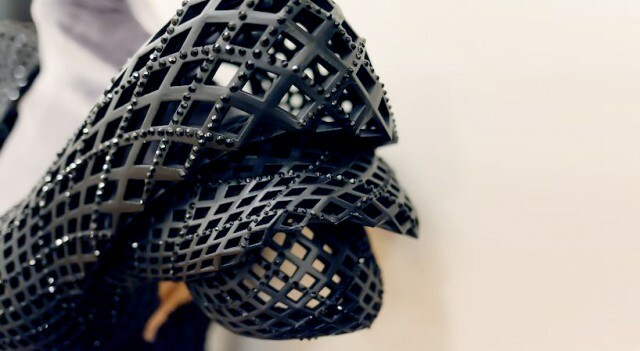 Architects regularly theorize about 3D printing and a move to architecture that’s more fluid and flexible. But just what would that look like? This report today gives us a glimpse. Francis Bitonti Studio Collaborated with Michael Schmidt Studios and Shapeways to realize the worlds first fully articulated 3D printed gown designed specifically for Dita Von Teese. The gown has nearly 3000 unique articulated joints and is adorned with over 12,000 Swarovski crystals.